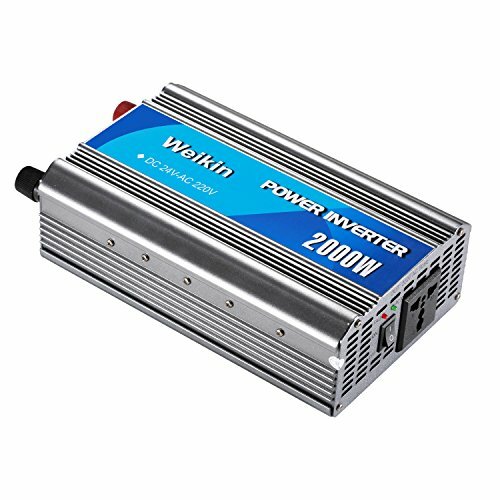 It converts the 24V alternating current present in the batteries, in the cars, etc., in direct current to 220V, present in all our homes. Equipped with two fuses in order to guarantee protection against short circuits. Modified sinusoidal inverter, with 220V output voltage. Universal outlet, available in all countries. If you have any questions about this product by weikin, contact us by completing and submitting the form below. If you are looking for a specif part number, please include it with your message.